Lucy Bertoldi is a book blogger whose blog, Enchanted by Josephine, reveals her passion for history and historical fiction. Recently, Lucy's daughter, Sophia, has begun to take an interest in Lucy's blog. I just love the opportunity here for mother and daughter to share an interest that will help develop Sophia's literacy skills, as well as forge yet another bond between them. I decided to ask them both some questions about it. Book Chook: Lucy, you're fascinated by the eighteenth century, particularly Venice and the Empress Josephine, and your blog certainly reflects that. But lately, your seven-year-old daughter, Sophia has begun to share your passion. How did that come about? Lucy: Sophia is very inquisitive…and every time she sees me reading, she wants to know all about the book. She’s usually not satisfied with a few details- she wants to know the whole story! So I began telling her about the books, and slowly she became very interested in royalty. Now, she insists on learning more, so we began looking for books that we could read together and learn more. Some books are still too difficult for her to read on her own, so I basically either read them to her, or I just explain in detail. 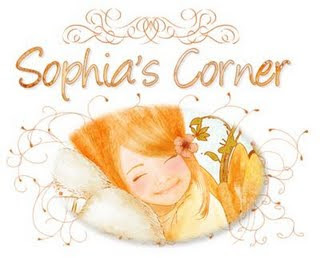 BC: And as well as keeping track of the stories you read, Sophia wants to present her ideas on your blog, right? Lucy: Yes. Sophia said that she too would like to write some reviews or give her opinion on the books. She also suggested that we do a creative rating system. BC: Sophia, what is it you like about the stories Mom reads? Sophia: I love the queens and the kings and the way they live. The whole book flashes in my head and I see the whole story that happened. Sometimes I think about how they lived in those days. BC: Sophia, do you have a favourite book? Can you tell us about it? Sophia: Usually, on my own, I read all the Junie B. Jones. But with my mom, my favourite book was Princess of Celle, by Jean Plaidy. This was my first book ever about a princess that was a true story, with my mom- and her name was Sophia too. She was forced to marry this boy that she didn’t like. And she became a very unhappy queen. It was a sad story. BC: Do you think other kids would like to do stuff like this with their moms? Why? Sophia: I like it because my mom always has time to explain this, and I think other kids would like to learn about history with their moms. It’s more fun than at school because there’s no test. BC: Lucy, what do like about sharing your passion with Sophia? Lucy: Sometimes I just can’t believe that this little one of mine actually enjoys this stuff! You know, it’s not everyone that wants to talk about history… I guess I’m pleased that she took after me on this aspect. I love that we can spend time together reading and that it doesn’t end there. What I mean is that during the day, when we’re doing something else, often topics or situations that we’ve read about, come up and we discuss them. And it’s all because we started reading a certain book together. It’s a lot of fun and I love that she’s developing this side of her as well. Isn't it great to think of a mum and daughter being able to share a passion for reading history in this way? If you'd like to tell us about a passion you and your child share, you can email me at Contact Me just under my blog header. Kids who love history might like to read The Royal Diaries series, and might also enjoy dressing up a virtual Marie Antoinette doll at Stardoll.